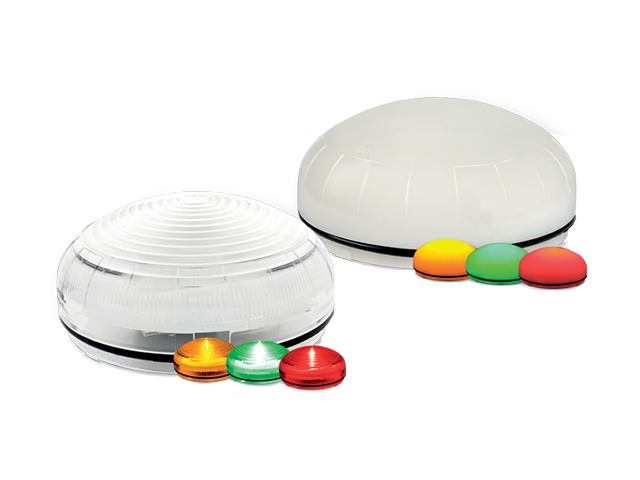 Models SLM400 and SLM450 are multicolor multifunctional LED status indicators engineered to satisfy the most demanding applications. Developed with multichannel technology, this low profile model produces three colors (red, green and amber) controllable via independent electric contacts. Model SLM400 includes an opaque lens for signaling in close proximities. Model SLM450 includes a fresnel lens for farther distance signaling. The body material is a self extinguishing polycarbonate material with high impact and UV resistance suitable for outdoor applications.